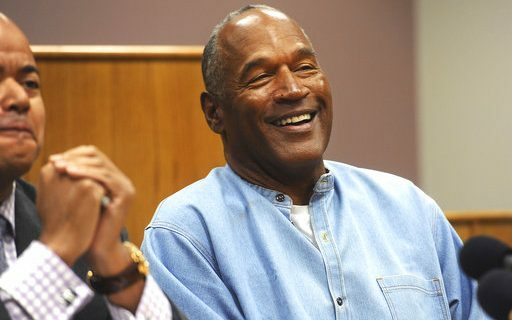 This weekend, The Buffalo News printed an exclusive interview that reporter Tim Graham conducted with O.J. Simpson. But of course, Buffalo Sports Page humorist Jeff Wozer has discovered some surprise revelations in the interview. • Earned extra cash while in Buffalo as Rocketship 7’s Mr. Beeper. • During the year he rushed for 2,003 yards he, before every game, lined his jock with Weber’s horseradish mustard. • Still claims Mark Zuckerberg stole from him the idea for Facebook. • Seven out of the nine years in Nevada’s Lovelock Correctional Center he won the prison’s Punt, Pass & Kick competition. • Biggest current regret: can’t find Judge Judy on Tinder. • Thanks to make-up no one knew he was the Catman drummer for the band Kiss. • He wrote a letter of recommendation on Al Cowling’s behalf helping him get hired as an Uber driver. • Earned good money in prison selling handmade shivs made out of melon rinds on Etsy. • With the help of Bill Cosby and Las Vegas casino czar Steve Wynn, started a Meetup group called Famous Rich Guys Who Made Really Bad Decisions. • Parole was only granted after he apologized for helping the Kardashian’s become famous.